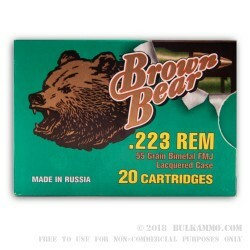 Brown Bear Steel cartridges are reminiscent of the cold war era rounds that came over from the Eastern Blok countries and Russia. They are a quality new manufacture with a lacquer case coating over a steel cartridge casing utilizing a Berdan primer for the ultimate in ignition reliability. 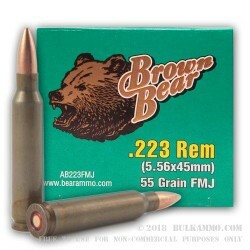 The tell-tale aesthetics of the Brown Bear give it its name and the ammunition seems to perform as reliably as the ammunition it resembles from earlier decades. The projectile is a 55 grain FMJ that is copper clad and provides a good mix of ballistic performance and velocity for the round. This is the ultimate plinking round for the caliber. 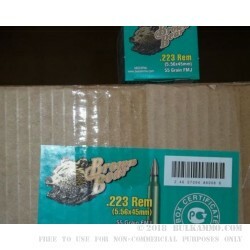 The price point is very good and offers shooters some versatility with the grain weight of the projectile being accurate across most of the popular barrel twist rates. 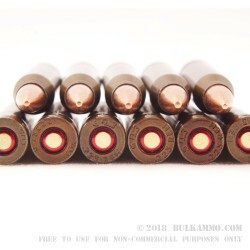 The round is very much in the middle of the ballistic performance index for the caliber. It is neither hot, nor underpowered. The steel provides a reliable vessel for shooting the rounds, without the bother of picking up the brass. The Berdan primer offers two ignition points. The powder charge elevates the speed to 3050, about midway through the pack in comparison to other mainstream producer’s speeds. I run this when I don't want to pick up my brass and it shoots great. Its doesn't leave that nasty black soot on everything like the Wolf does. Stuff functions great, cases are never out spec for size (like Tula is sometimes is). My husband and I shot 2000 rounds of this in a 2 week period w/out 1 miss fire. 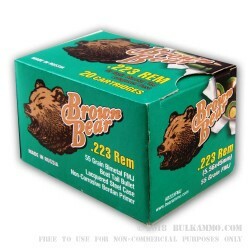 After we placed the order we heard a couple horror stories about this ammo and got worried but we had no trouble at all. Its the best value I've seen if you're addicted to shooting your AR like us. It is dirty. The outside of our barrels even change colors and have to be thoroughly scrubbed down. It also leaves a red residue inside the rifle that comes off the bottom of the round. You should clean your rifle anyway and you will definitely have to after a magazines of this. Just ordered 2000 more today. 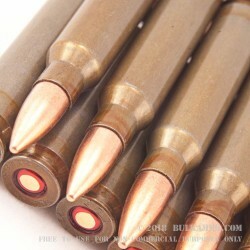 Q: I need to know if this uses a bi-metal (magnetic) bullet. I am going to be shooting steel targets and don't want to damage them. A: This ammo has a bimetal jacket, but if your steel targets are 1/2" AR500 or better, which is what you should be using for high velocity .223/5.56, they will not become damaged. 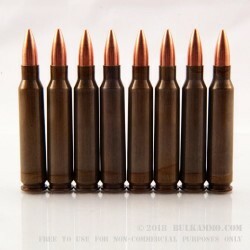 We shoot this ammunition at steel targets without issue.